REVIEW: When you love Jane Austen, Charles Dickens and George Eliot, and love to talk about their work, there comes a day when someone recommends that you read Mrs Elizabeth Gaskell. Recommendations are funny things, if they come at the right moment, and that ‘right’ moment is impossible to define, you may pick up the book immediately and read it without prejudice. If a recommendation comes at the wrong moment, the recommendation will be forgotten, with no judgement recorded. However, if a recommendation comes from someone we do not like, or, more importantly, we do not respect, the recommendation will be remembered, but the book will be associated with all that is wrong with the world and, henceforth, will be avoided like the plague. My experience of Mrs Elizabeth Gaskell started badly. Those who recommended her were, more often than not, from a peculiar group – the lovers of Jane Austen who maintain that Georgette Heyer should be considered Austen’s equal. Jane Austen’s genius, like Shakespeare’s, is that she is accessible to all. In her novels, some find a mirror, seeing only themselves in fancy dress reflected, while others find a window, with a view of the whole world. Gaskell, in part, shares this genius. She can be read on many levels by a vast array of readers. I had, unfortunately, only met one sort of Gaskell reader. The greatest surprise of my reading life was when I discovered that every one of my preconceptions about Elizabeth Gaskell’s North and South was wrong. North and South is a work of the highest order. Dickens serialised North and South in his paper Household Words following the serialisation of Hard Times. Both novels are set in England’s industrial north. In my opinion, I think Dickens did a very brave thing, for those who read North and South immediately after finishing Hard Times, as I did, will see just how inadequate Dickens’ style was for getting at the heart of the matter. His eccentricities and his characterisations seem awkward and inappropriate in an industrial setting. The industrial towns of England were the future. They were entirely new and had no grand tradition. The men and women of such towns were new, too. The very structure of society was in flux in such towns as it was tied to success and was being formed and reformed daily. The democratisation of England began in the north. Dickens comes closest to grasping the nature of these towns when he describes the lives of two characters, Stephen Blackpool and Rachael. Both are working-class and both could walk out of Hard Times and straight into The Road to Wigan Pier by Orwell. Hard Times is a great work, both light and dark, and, as with many of Dickens’ novels, it helped alter public prejudices – in this case, concerning the plight of the working-man. For many and various reasons Dickens was a unique genius. He finds ‘character’ in the most unlikely places; he could find personality in a stone. Unfortunately, because he was unique, all those who tried to emulate him failed. The Dickens school of fiction was not long lived; it found its beginnings and its end in Dickens himself. In Mrs Gaskell, however, we find a direct link with modern writing, both literary and popular, with its adherence to a realistic representation of life, its belief that honest reportage can effect social change, and with its preoccupation with the relationship between the middle classes and the working classes and the problems of democracy. Mrs Gaskell reveals a nineteenth century many of us did not know existed, a nineteenth century we can relate to directly, a town life and suburban life we know, a life which has long been obscured by later writers – by Hardy’s Dorset, by Trollope’s London, by George Eliot’s Middlemarch, all of which seem slightly foreign and antiquated when compared with daily life as depicted in North and South. In 1854, Mrs Gaskell did something spectacular, something which has gone unnoticed, in writing North and South she gave the world the first great novel of the 20th century. P.S. Do not rely on the BBC production; you will cheat yourself out of enjoying one of literature’s gems. 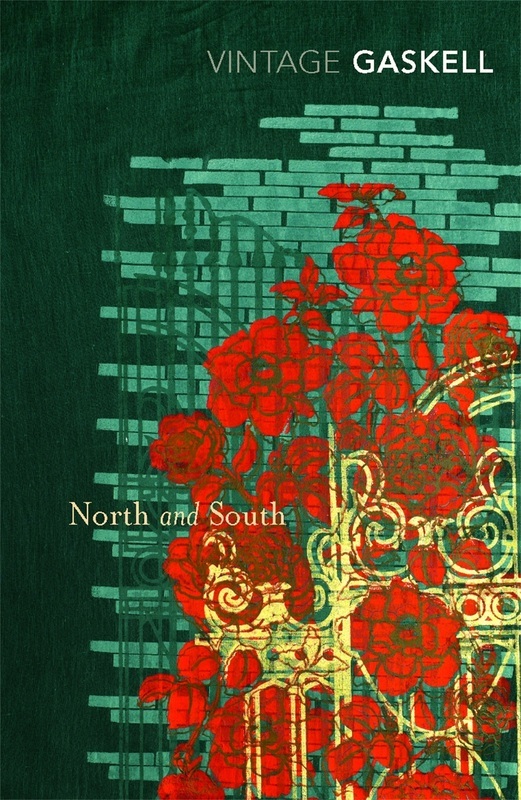 Get hold of North and South as quick as you can. You will not regret anything but the time you have to spend away from its pages.